You do everything you can to look like him. You wear black clothes. Have long spindly fingers, but that wasn’t a choice, more a result from playing the piano for a long time. 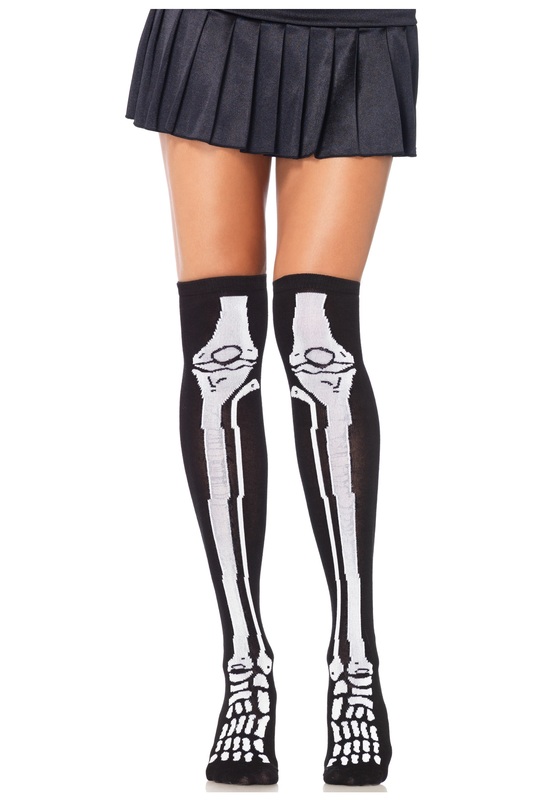 Now you need these Skeleton Knee High Socks so when you wear a skirt you can still show your relation to Uncle Grim. They will help you show your love, and support for the man you admire so much. Hmm, now all you need are a pair of our boney high heels. After all, the grim reaper never does anything halfway.